Police in Union City are searching for three to four suspects believed to be connected to a shooting at a park that left a man injured Tuesday afternoon, according to police. Anser Hassan reports. 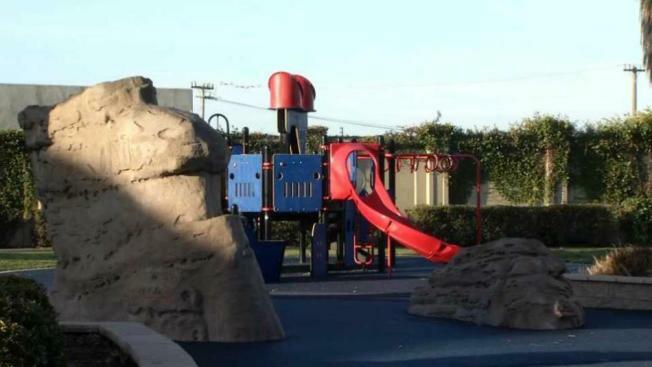 Police in Union City are searching for three to four suspects believed to be connected to a shooting at a park that left a man injured Tuesday afternoon, according to police. The male victim, who was shot in the leg at Dry Creek Park in the East Bay City, was taken to the hospital, but his injury was not listed as life threatening, police said. The shooting happened just before 3 p.m. after the victim and a group of men became entangled in a confrontation, according to police. The suspects, who range in age from 16 to 20 years old, fled the scene before officers arrived, according to police. Police described the location of the shooting as a safe neighborhood. "We're a pretty safe community so this struck us as kind of rare, especially in a park where there's children that go out and hang out and stuff, "Sgt. Steve Mendez with the Union City Police Department said. A weapon has yet to be found, police said. Police said Tuesday's shooting was the fourth in the East Bay city during 2017. One of those shooting's resulted in a fatality. An investigation is ongoing. Further information was not available.